If it is the first time you come across the term “expository essay,” it may sound like a very difficult assignment. The truth is that, even though the expository essay is not easy to write, it is not at all difficult to do either. However, if you are to succeed at it, you must learn how to write expository essay. In addition, you need to be able to write in academic writing style. If you don’t know how, we suggest you try reading the style guidebook for your chosen style (MLA, APA, Chicago, etc.). 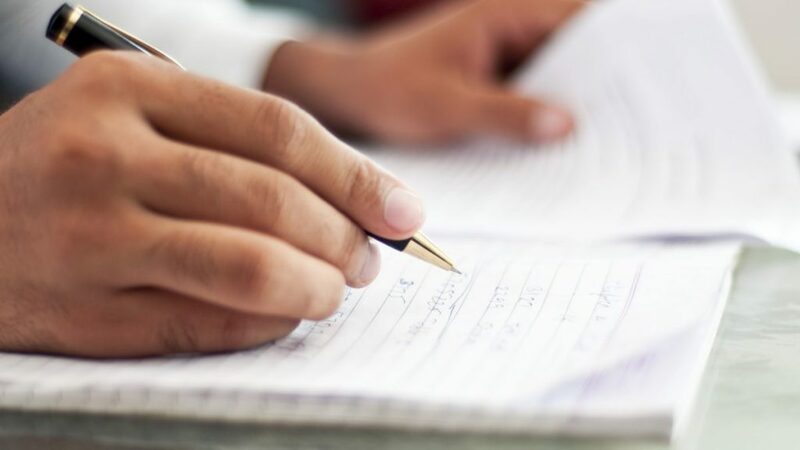 Our purpose in this blog post is not to teach you how to write an expository essay, but to help you understand what it is and then give you a list of the most interesting expository essay topics. You can use any one of our topics for your next paper completely free of charge. You are also free to change the topics as you desire. Our team of academic writers and editors has put together this original expository essay topics list to help our college students all over the world – for free! Let’s start by showing you what an expository essay is and how you should write one. After all, to learn how to write expository essay, you need to learn exactly what this is. Basically, an expository paper is meant to explain something (which can be a concept, a method, a contraction, an object, and even an idea). So basically, you can replace “expository” with “explanatory”. It doesn’t look so difficult. However, remember that you still need to find interesting expository essay topics. Why? Because in most cases, professors are very happy to see something new and original. Make your paper stand out from the rest and you will most definitely get a top grade on it. And this is exactly why our best topics 2018 list is so important for college students. Writing an expository paper is not very difficult. You can also find a lot of tips and tricks online, and we will provide some of the best ones towards the end of this blog post as well. The first thing you need to do is find some expository essay topics. We can help you with that (just read on to get to the list of topics). Then you need to understand how an expository essay is written. Even if you have the best topics 2018 list, you still need to write the paper correctly. To do so, you need to understand one thing: expository essays are always objective. In other words, everything you write needs to be supported by facts and stats from authoritative sources (sources that you will reference at the end of the paper). There is no subjective writing in such a paper. You can share your own opinion towards the end of the paper as a conclusion, but that’s it! Now that you understand what you need to do, here are the best expository essay topics from our professional writers. Not all topics have to be hard. Some can be easy and quick but you could write an excellent expository essay using them. What would you change about your school if this was possible? Explain the phases of your decision-making process. How does science improve the lifespan of humans? If you could be another person, who would you be for a day? Explain why families are so important for us. The many benefits of exercising regularly. Would you like to volunteer? Where and why? What is your favorite country on Earth and why? Why studying Chemistry has important benefits outside of the classroom. Why are teenagers smoking marijuana and consuming alcohol? It is better to live in an apartment than in a private house. My favorite sport is tennis: here is why! Dancing can relieve stress: scientific evidence supports this claim. What is your favorite music style and why? Endangered species need better protection. These topics are a little harder but they shouldn’t be a problem. Yes, they will require a little more of your time but you will be able to come up with an interesting essay without any problem. You are immortal. What would you do? Ways to tackle bullying in school: practical advice. What do you think will be the next great invention? The banking system is killing economic growth. The dire consequences of not using condoms. Expressing emotions helps people overcome difficulties. What book did you like the most and why? The Internet has a negative effect on inter-human relations. Social media is causing college students to fail exams. Having a job during school is possible and beneficial. Being overweight has some very negative social consequences. Quick weight-loss diets are not effective. Here are the main causes of divorces in the United Kingdom. I believe in aliens, and here is why. These will be perfect for you if you are in college and you want to tell your peers about your college life. Here are the 5 useful ways college students can spend their free time. Here is what being a wise consumer means to you and to others. The use of artificial intelligence in college. The most peculiar requirements for a college major you know of. Why did you choose the college you are currently attending? Students are looking depressed on campus. Here is why! Where do students who miss classes spend their time the most? The college curriculum is too difficult to understand for the average person. The best scholarship at your college (and why). What is your favorite teacher and why? Remember to be objective. The strange rituals of college athletes when they prepare for a game. The meals at the college cafes are not healthy. Tennis is less popular in college than it should be. Social issues is a popular theme to discuss in your essay and you will have no problem with writing an essay. Why teenagers commit juvenile crimes and how it can be prevented. Your medical insurance doesn’t cover all injuries, which is unfair. Dropping out of school: a choice or a mistake? The social precursors of substance or alcohol addiction. The 3 most harmful hobbies in college. The Internet has changed the way people talk to each other. Tolerance at the workplace is very important, and here is why. The nasty consequences of fighting among brothers and sisters. Why the food stamps system is broken. The effects of cyberbullying on college students. The definition of being poor in the United States. Education was significantly changed by the wide-spread access to the Internet. Why some people are marginalized in school (and beyond)? How I joined the fraternity I am currently a member of. I nearly got hit by a bus – and it changed the way I look at life. The moment I won the prize for the best short novel in school. The difficulties of being a student with special needs in college. The cause of my depression and how I cured it. Here is how I paid for college without going into debt. Working during college is possible. Here is my story. Tennis is my favorite sport, and I am proud to practice it. Here is what true friendship means to me. Miami Beach is my favorite vacation place. Having a dog is the best feeling in life. The story of Sparky. Music influences my life every step of the way. My first day at college was frightful and wonderful at the same time. I play video games in my spare time and there is nothing wrong with it. World history is full of events, most of them were tragic of course but that doesn’t mean you can’t write an essay about. Here are our 6 topic suggestions. The causes of terrorism in modern times. The causes that inevitable led to the Civil War in the US. The Great Depression in the United States affected other countries as well. World War II drained the United States and brought it close to collapse. Why do some countries adopt Communist ideologies? The United States was formed by eradicating countless tribes of native Indians. Science is an interesting thing to talk about and here are excellent topic suggestions for you to use. Make sure you do some research and know what you are talking about, because your reader will immediately feel that something is wrong. So these topics will require a bit of preparation from your side. How Google Class is helping students at my college. Explaining how wireless connections work. The major breakthroughs that made space flight a reality. 3D printers of the future will print human body parts. Irrefutable signs that aliens exist and are closer to use than previously believed. Explaining the complicated string theory. How does a Firewall software work? Behavior-based models for malware prediction in antivirus systems. The importance of space exploration for humankind. The best alternative source of energy is solar (explain why). Combustion engine vehicles will disappear by 2050. Advancements in nanotechnology will offer a cure to cancer. Knowing how to use a computer is mandatory nowadays. The effect of privacy laws on everyday Internet users. Here is why torrents and torrent clients should not be allowed on the Internet. Writing about new essay topics is not enough to get a top grade. You need some good expository essay tips. And the first one is to always edit your work to make sure you are objective and that all your statements are supported by strong evidence. Of course, also try to find the best original expository essay topics before you start writing. College students can find many topics online, but we assure you that our list has been compiled from scratch and that all topics are original and new. Use them for free! Too Scared to Write an Essay on Gender Equality?